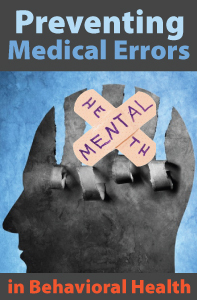 Preventing Medical Errors in Behavioral Health satisfies the medical errors requirement for license renewal of Florida mental health professionals. Domestic violence, in the form of child abuse and intimate partner violence, remains a pervasive part of contemporary life in the U.S. Its effects are deep and far-reaching. This course is intended to help health professionals maintain a high state of vigilance and to be well prepared with immediate and appropriate responses when abuse is disclosed. There is a special section on the complexity of an abuse victim’s decision about if and when to leave an abuser. This course will teach clinicians to detect abuse when they see it, screen for the particulars, and respond with definitive assistance in safety planning, community referrals, and individualized treatment plans. This course satisfies the domestic violence requirement for biennial relicensure of Florida mental health professionals. This entry was posted in CE Courses, CE Requirements, Psychology CE and tagged florida psychologists ce requirements, medical errors ce requirement, medical errors requirement, Preventing Medical Errors in Behavioral Health, Preventing Medical Errors in Behavioral Health CE Course by Gina Gunderson. Bookmark the permalink.